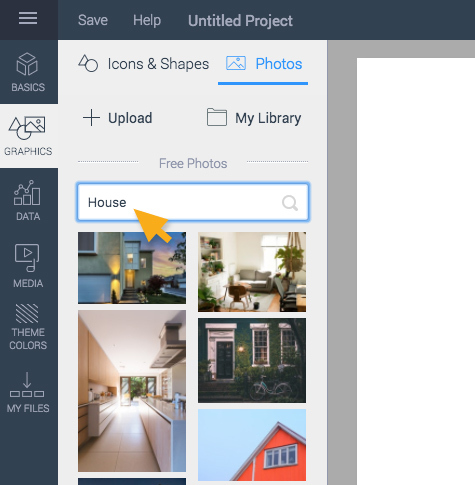 Finding photos to enhance your design is easy with Visme. 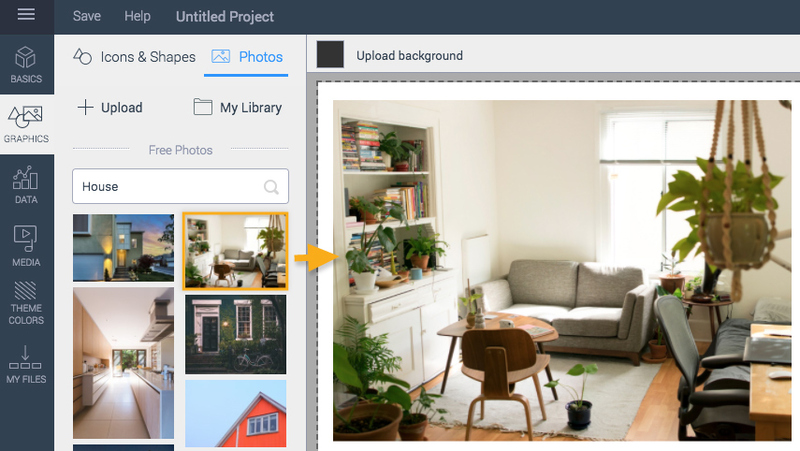 You can easily upload your own photos to your design or select from millions of photos available to you in the free library. Once you have uploaded or selected photos, your images will be stored in your Media Library. Simply click on Graphics from the left panel and then click on Photos tab. Search for a specific image by typing in the search box. 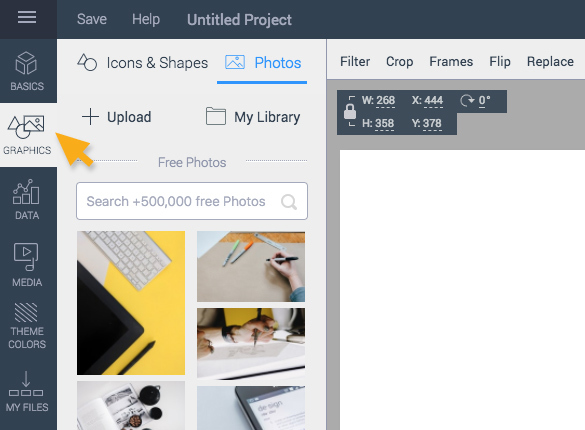 Select an image that you want and you can place it in your project by either clicking on it or dragging and dropping it into place of your project. You can then adjust its size and position as needed. Try short phrases when searching for images. If you don’t achieve the desired results, try short phrases or alternative keywords that are broader.